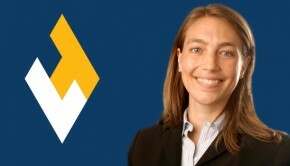 Professor Katrina Fischer Kuh’s essay “Agnostic Adaptation” will be appearing at the Environmental Law Prof Blog on Nov. 21, 2014, as part of the work of the Environmental Law Collaborative. The collaborative meets biannually to first discuss and then write about a particular environmental law topic. The topic for 2014 was the IPCC’s Fifth Assessment Report, which evolved into a discussion regarding how effectively (or not) the IPCC had communicated some of its more important messages. The Environmental Law Prof Blog is posting one essay a day for the next three weeks, starting on Nov. 4; an introduction to the project was posted on Nov. 3. Each contributing environmental law professor chose one paragraph from one of the three new reports and extrapolated on some of the paragraph’s hidden implications for climate change policy. Topics range from sustainable development to environmental justice to adaptation in cities to energy policy to biodiversity to framing the adaptation discussion.